Certified for food There is 1 product. 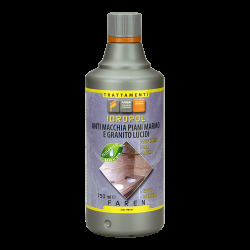 ANTI-FOOD STAIN Specific for smooth, shiny marble, granite and natural stone. Kitchen, Bar, Bathroom, Table Worktops. Water base. FOOD CERTIFIED No. 08/162251 Packaging available: 750ml.